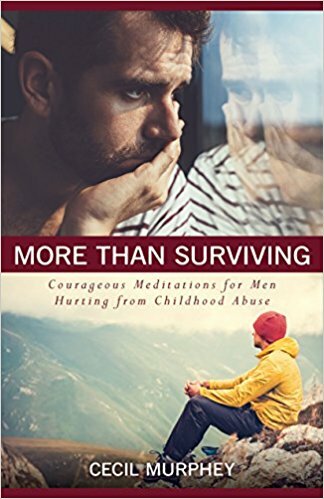 One of our readers is considering attending a weekend retreat for male survivors. Have any of you ever participated in such an event? If so, would you email me direct at cec (dot) murp (at) comcast (dot) net and share your experience? Some of us struggle more with memories of the past than others do. They come back as quick spurts of something in the past and they're gone. Or they torment us, often for days. Are there questions or specific topics you would like Cec to address in upcoming blog entries? 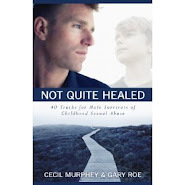 If so, please send an email to his assistant at the following address: cecilmurphey(at)mchsi(dot)com. I nudge other men not to try to walk the road alone. We need to open up and talk to people who are trustworthy. Here are two questions to help us decide to open ourselves to others. 1. What do I hope to receive? We need healthy, positive expectations. We also need to prepare ourselves for disappointment or skepticism. 2. Do I speak up because I want help from the person who listens to me? If so, we have to learn to say what we want. If we want the other person just to listen and care, we may need to say, "I don’t want you to do anything; I only want you to listen." You may want to ask yourself other questions, but this is a good place to start. I want to ask myself the right questions. "I Can Handle It Myself"
No one heals alone. You may challenge that statement, but I'm convinced it's true. We're survivors, but we need others—at least one person who cares. As human beings, we're built to relate to others. We need them to love, rebuke, encourage, and inspire us. Those who are willing to hear, who can understand our pain, and assure us that we matter, are the people who help us realize the healing we receive from others. We need other human beings to help us confront the lies and deceptions of our perpetrators. My denying that fact doesn't destroy the truth. Why Do I Have to Talk About It? One reason for murky statistics about male survivors of sexual assault is that many of us aren't forthcoming. That is, we don’t want to talk about being molested. It still hurts and we feel less like real men if we admit our pain. 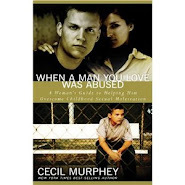 I never want to force anyone to talk about their abusive past. And yet, I know that until we do bring the dark secrets into the light by talking about them, the pain stays inside. We try to ignore it or pretend it doesn’t hurt. But we know differently. Speaking about our pain-streaked childhood isn't easy. Shame often holds us back, even though we were innocent, pliable children. But those of us who have the courage to speak out—even when fear and self-loathing keep trying to pull us back—have learned an invaluable lesson. When the truth comes out, it's no longer a secret. When another human being—a person with whom we feel safe—hears and understands our anguish, the healing process becomes operational. We were abused in secret; we lived with our secrets. Now we're ready to bring the truth into the open. Needy is a good word I've used to describe myself since the early days of my healing. At first I saw needy as applying only to me and perhaps to those really, really messed up people who try to glob on to us and want our constant attention. I still feel isolated and impoverished when I'm in a group of strangers and no one smiles at me or talks to me. Sometimes I tell my circle of acquaintances about my newest success (or failure) and no one seems to listen. In those instances, I feel like that sad, estranged boy again. Whether it's belonging to a church or a gang, we've been created to be with others. We deserve acceptance, affirmation, and appreciation—the kind we can get only from others. Some are better suited to relating only to one or two people; others need a crowd. Regardless, when we're rejected, shunned, or ignored, we reflect negatively on ourselves. What's wrong with me? My alcohol-addicted brother once said to me, "I don't need anybody." Then he gulped down half a bottle of beer and lied to himself once again. He never changed because he drowned his neediness. I changed because I faced mine. Those are good healing words.